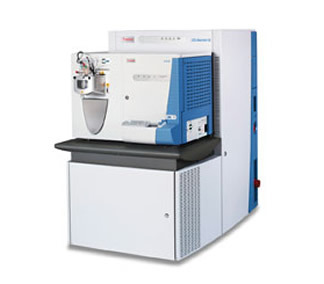 Thermo Scientific LTQ Orbitrap XL hybrid FTMS (Fourier Transform Mass Spectrometer) supports a wide range of applications from routine compound identification to the most challenging analysis of low level components in complex mixtures. The LTQ Orbitrap XL is based on the fast and highly sensitive Thermo Scientific LTQ XL linear ion trap and the proprietary Orbitrap technology. The LTQ Orbitrap XL features a new HCD collision cell for ultimate flexibility in fragmentation experiments for advanced proteomics and small molecule research.